Sometimes I don't want pie. I don't want to make the crust and hope it turns out. 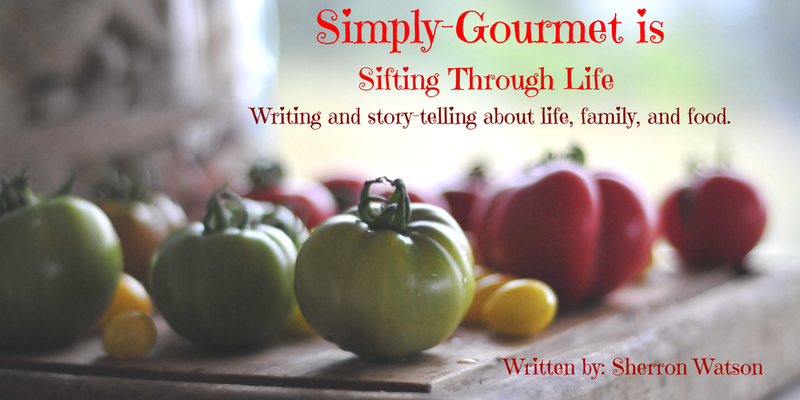 I just want something easy that I can take to family parties that will be easy to eat and enjoyed by others. This dessert is always well received. I have made both versions (regular and gluten free) for family and friends. The one that gets the most praises is the gluten free. They love the crust. 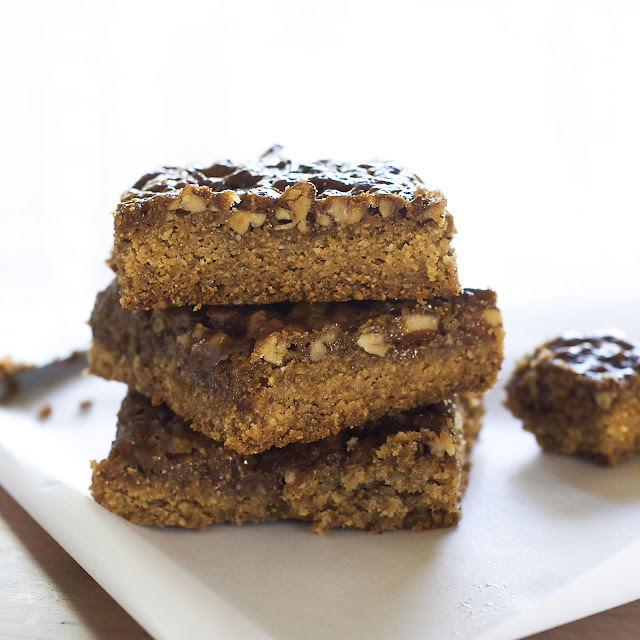 The almond meal adds another layer of rich flavor and texture. I like to add extra pecans so that they are the star of the show. If you don't have enough, then the bars look a bit naked, if you ask me. 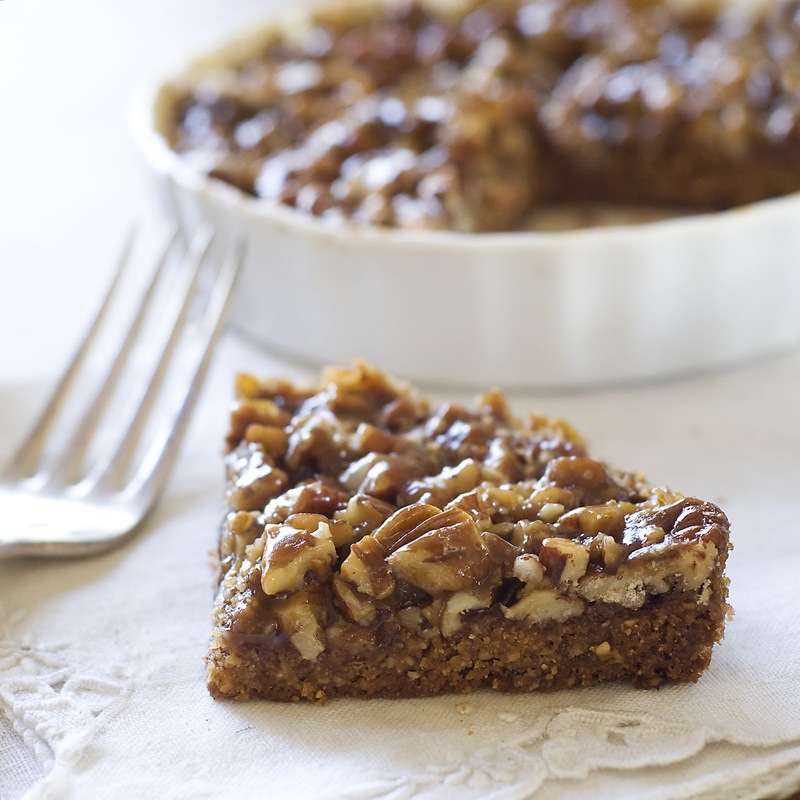 See the picture below of the "Naked Pecan Bars"….boring. When compared to the image above you can see what I mean. 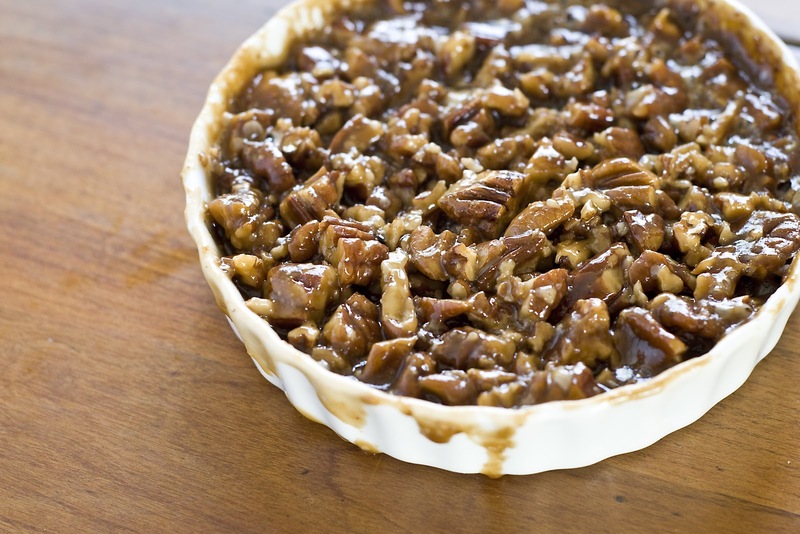 The three cups in the recipe will give you ample pecans but please feel free to add a few more to your liking. I also made these in small ramekins to see if I could do individual portions. It worked like a charm. I find that guest like to have their OWN small dish. I used a knife to go around the outer edge and they popped right out. They make the perfect mini pie with a scoop of vanilla ice cream balanced on top. *To make this gluten free, use this conversion: 2 cups of almond meal plus 1 cup + 2 tablespoons of brown rice flour for the regular flour. Combine the crust ingredients. Push into 9X13 pan. Bake for 20 minutes. While the crust is cooking, combine the butter, brown sugar, honey and cream in a saucepan. Simmer the mixture for 1 minute and add pecans. Stir to combine. Remove crust from oven and add the topping. Spreading topping to cover all of the crust. If baking individual size portions, scoop enough filling into each cup to cover crust. Return to the oven and bake for 15 minutes. Remove bars and let cool completely in pan. Remove bars by lifting parchment paper out of pan. Cut into squares.